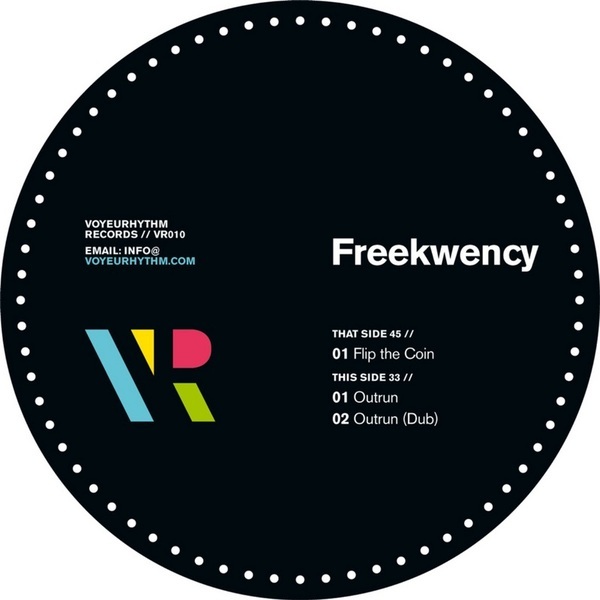 Benny Badge aka Freekwency gets down on two retrovintage boogie jams for Voyeurhythm. Cracking Linn-style drums, elastic bass and purple chords pop off on 'Flip The Coin' and leave a trail of grease on the dirty sparkle of 'Outrun', also included in a badass dub for the tru players. Fans of Dam Funk, get your shades on, get freeky.